OBJECTIVE // The University of Wisconsin – Madison holds a competition each year called the 100-Hour Challenge, in which students have 10 dollars to spend at the UW SWAP to salvage discarded items from the University and turn them into something of social, economic or artistic value, in 100 hours. Items range from desks to computers to lab ware to much more. OUTCOME // My entry was an clock made from bike wheels and an old motor (one wheel is the hour, the other is the minute). I used a couple square stock extrusions of steel and welded them into a frame that allowed the clock to sit on the ground. 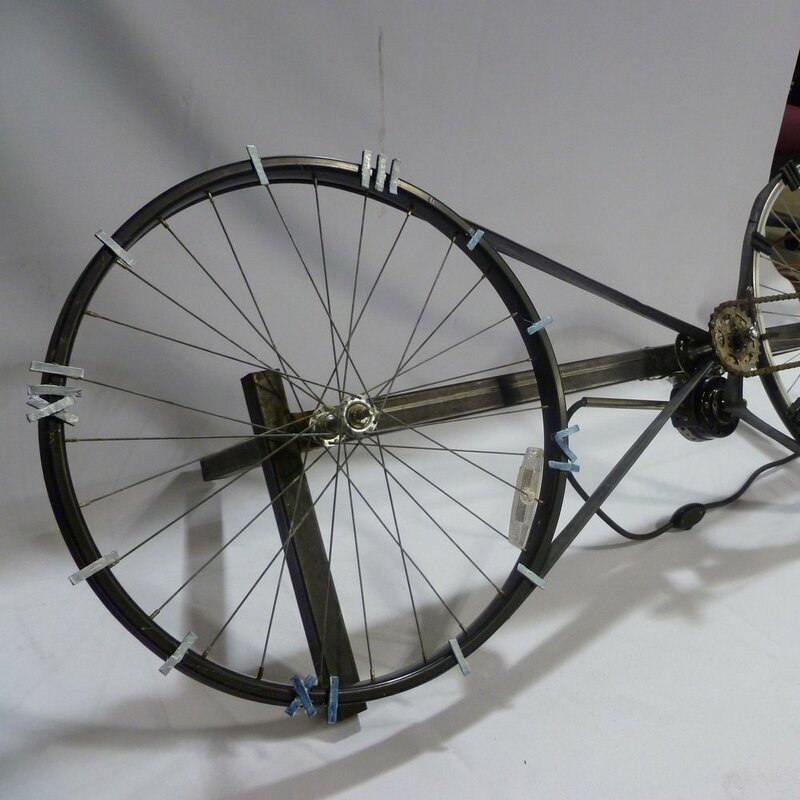 The wheels were bolted to the frame so they spun freely, and driven by the motor that was attached to the frame in the back. The Minute hand wheel spun at approximately 60:1 ratio of the Hour Hand, but it was intended more as an art piece so it wasn’t really perfectly tuned.